If you've read my review of The Baby by Lisa Drakeford, you'll know that I was desperate for a sequel. Well, guess what? There is going to be a sequel, and I have all the details right here from the writer herself! I ended The Baby in such an open way because to me, that's life. It doesn't end all gift wrapped and tidy. All my characters have shed loads more to give. There's a whole academic year left before any of them go to university for instance. And Jonty's story in particular has only just begun. And also, maybe because I took so long creating my characters, I now can't seem to leave them alone; not yet. The Baby's ending has given me the chance to write a sequel. Without major spoilers I can't explain why, but if you've read it then you'll know there's a massive piece of unfinished business which needs sorting. 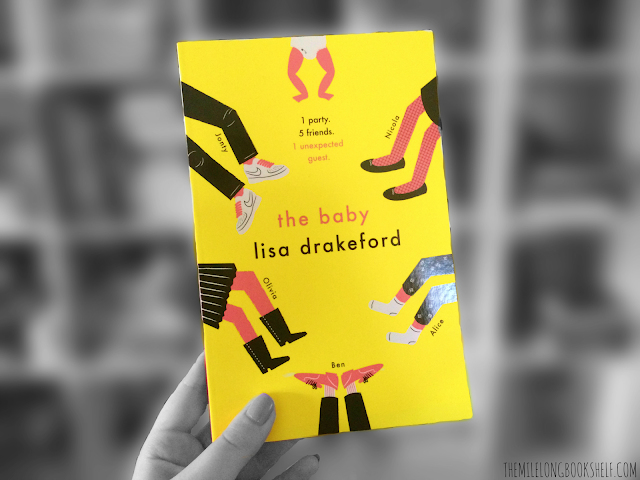 In keeping with The Baby there's a dramatic event at the beginning and because I'm so obsessed – I'll show how it affects all five of my characters (again). Tiny, tiny hint here: this time it's Alice (and no, she's not about to become a 12 year old mum!) Josh, Bethany and Sandy make bigger appearances and (even bigger hint here) THERE'S A NEW CHARACTER who ends up on Jonty's front step. I love writing. I've been doing it properly now for about five years. By day I'm a learning support practitioner but by night I write my stories. This means that I don't have much of a social life, to the annoyance of my family. I tend to write an hour every night. My fifteen year old, for instance has only ever known me slope off into the kitchen about 9 o'clock to shove him off the computer so I can do my writing. (He's okay now though, I've had to get him a laptop!) I have to be really strict with myself and I'm getting good at using my Sky Planner to record all the good stuff which seems to come on at nine. But of course the big perk of my day job is that I have school holidays. So here I tend to do most of my writing. I get up at ridiculous o'clock and type away madly with bed hair and no make-up. It's not a pretty sight. But it's worth every single early morning to walk into a random book shop like I did the other day and see The Baby displayed proudly in amongst some spectacular others. I couldn't stop staring. It was the best feeling in the entire world. I'm still buzzing now. OOH. How exciting does that sound? Who is the new character and why are they there? I'm very much looking forward to reading this, and hopefully you are, too! If you haven't read The Baby yet, now's the time to do it. Click here to grab a copy and then we can fangirl. Are you looking forward to the sequel? Squee! I really want to read these books - THEY LOOK SO GOOD. I am looking forward to it! I really liked The Baby so I'm looking forward to hearing from the characters again. Thanks for this, Amber!